BLOOMINGTON, Ind. 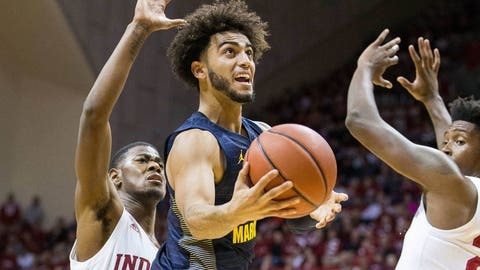 — Indiana coach Archie Miller challenged his defense to play with the same intensity and passion they showed last week. The Hoosiers dominated one of the nation’s most potent offenses by forcing a string of early turnovers, drawing fouls and converting miscues into points in a 96-73 blowout over No. 24 Marquette on Wednesday night.